Skillwise Sports try to run Multi Sports Camps for primary school aged children in every School Holidays. In our Mulit sports camps children get to try new and old games and sports in a fun and friendly environment all our activities are child centred and played at a high tempo to keep children engaged throughout the day. Children come from a variety of schools and this gives the children the opportunity to make new friends and this also is a great way to help their self esteem and build on their social skills. 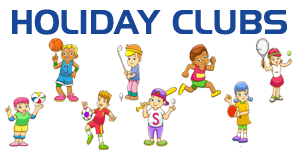 These are some of the activities your child may get the opportunity to try; Dodgeball, diamond cricket, handball, volleyball, hockey, rounders, bench ball, king of the castle, crab football, circuit of sports, bucketball, treasure hunt, tag rugby, tenpin bowling, frisbee golf, team building activities, basketball, the bomb. We usually run in the first week of the holiday and all days start at 9am and finish at 3pm. Full details of the Holiday Camps are below, we publish them on the website at least 3 weeks before they are due to start, to give you plenty of time to book.